Micheal Vick And Roddy White Retires With The Falcons !!!! BHR Hollywood Reports...........The Atlanta Falcons Had A Special Retirement Ceremony For Michael Vick And Roddy White. "We consider all former to be falcons for life, and part of our family," Falcons Owner Arthur Blank Said. 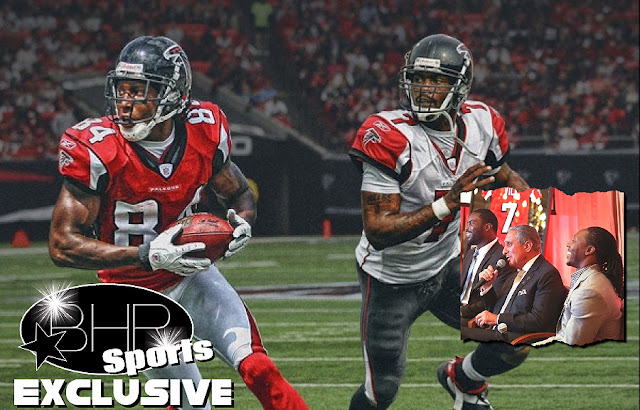 :Both men made a huge impact on my family, our franchise and this city and we are thrilled to be able to honor both Roddy And Michael's wishes to retire as falcons, and celebrate their careers." We don't need a contract to consider them a part of our family and honor their decision to retire as a falcon," blank said. Vick (the No. 1 overall pick in the 2001 NFL Draft) quickly became a household name in Atlanta. During his Six season with the Falcons, Vick was named to th pro bowl three times. Vick remains the only wuaterback in NFL history to rush 1,000 yards ina single season. The falcons selected white with the 27th overall pick in the 2005 NFL Draft. White's first career touchdown was a 19-yard reception from during whites rookie season. White (who played 11 seasons with the Falcons) Would go on to become the franchise leader in touchdowns. 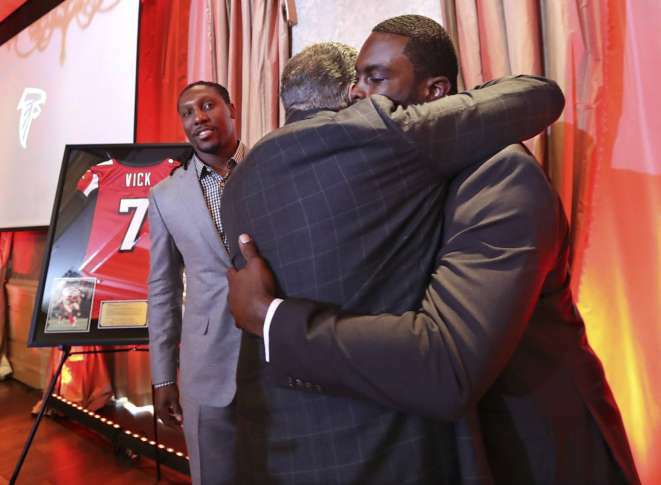 BHR Congratulates Michael Vick And Roddy White !! !